Join the Love the Forest scheme today and help secure the future of the New Forest. 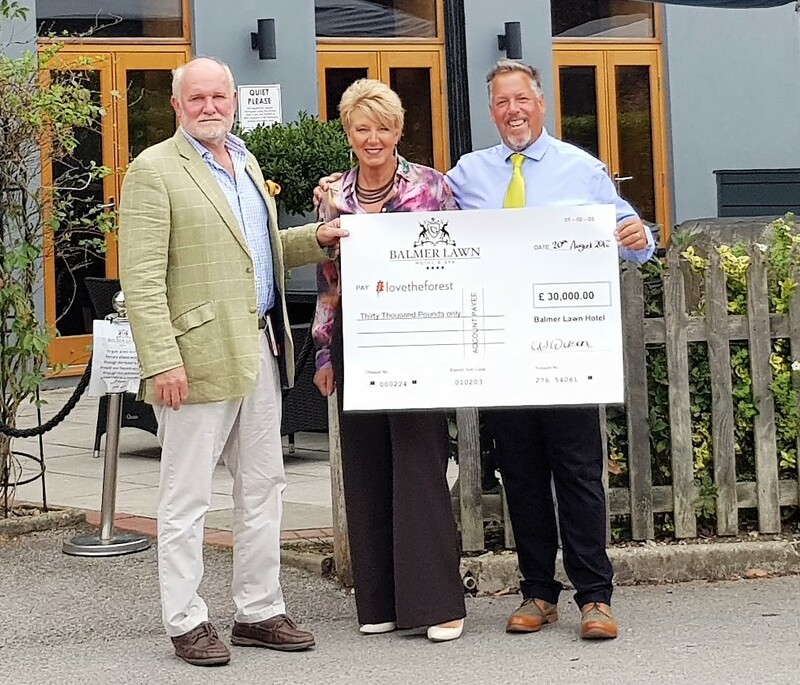 Local businesses raise money with us through their customers to fund conservation and education projects, helping to protect the New Forest. There are currently 45 businesses in the scheme but we need but we urgently need your support. People love to visit the New Forest and we know they are happy to contribute towards looking after this special place. Our businesses collect donations from their customers which has raised a staggering £265,000. free publicity for your business – celebrating new business members, fundraising milestones reached, staff involvement etc. through the media and online. training about the scheme, the history and wildlife of the New Forest so that staff can talk confidently to customers. Businesses add a donation to a room stay, meal or product; some choose to donate directly or run fundraising events. We would welcome your call to discuss ways in which you could partner with us and ensure this incredible landscape can be enjoyed for generations to come. Get in touch today to find out how you can get involved.